On this day, five years ago. 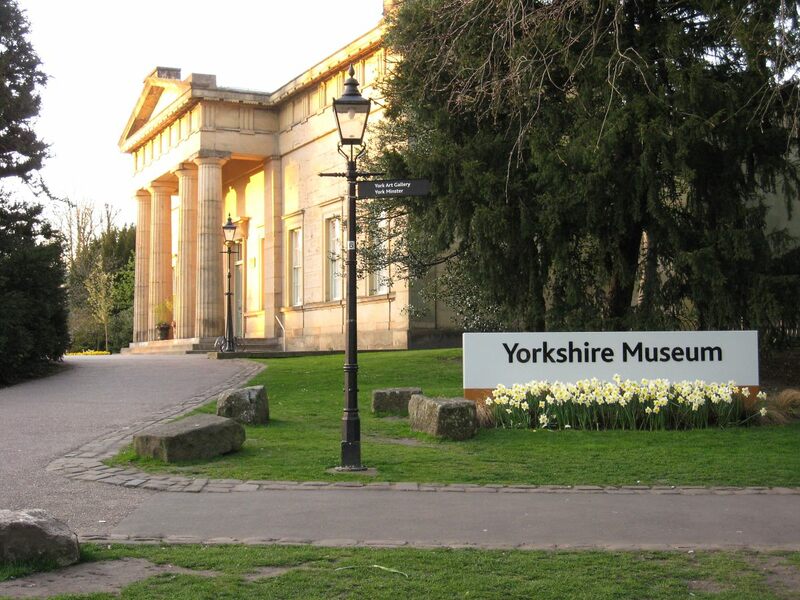 Around 6.30pm, with the evening sunlight lighting up the front of the Yorkshire Museum in the Museum Gardens. Half an hour or so after I took the photo on the previous page. Again, I guess I took this because the building looked handsome in the evening light. The daffodils in front of the sign were rather cheery too. Five years later, the building is still there looking handsome, and though I haven’t been through the Museum Gardens recently I imagine that daffodils and other spring bulbs are blooming, just as they did in 2011 and as they do every year in April. The main difference between then and now is that I doubt I’ll be sharing photos of the interesting exhibits inside this building, as I have done in the past, because now York residents don’t get in for the price of a York Card, but have to pay for the more expensive YMT card or the normal admission fee. The signpost in the photo points to the Art Gallery, where the same applies. It also points to the Minster, where that doesn’t apply, and last time I checked we residents with a York Card could get into the Minster free with that. So I may be visiting the Minster more and the art gallery and museums less. When I say less I mean not at all. Perhaps that doesn’t matter. And it’s maybe the same for many of you, dear readers. Just one of many changes in the last few years. With more happening all the time, and others planned. On that note, I’m adding another page today, in addition to the ‘daily photo’, on Groves Chapel. You can keep going to Yorkshire and Castle museum on your York card until it’s expiry date provided that’s on or before July 2016. Not the Art gallery though. I thought the references I’d seen to this date referred to last year, but I must have misunderstood. Should maybe try to get round the museums before the end of the month then, as mine needs renewing then. Thanks David. It is very sad that our museums are getting more expensive to go in, for residents as well as visitors – particularly if it prevents local people from seeing their heritage. I admire Lisa’s measured and calm way of writing about this subject – and all controversial subjects – so I will try to be calm too! As a museum employee (not at a YMT museum) I must remind people that the funding for museums has been catastrophically cut by this government and that we in York are lucky that we have not seen any museum closures as many other great UK cities have (Lancaster springs to mind). Local museums are seriously under threat, which is why they have had to take the decision to increase visitor revenue in this way. None of them want to put prices up, but when it is either that or potential closure, there is very little choice.